It is time for you to discard your faith, your belief in the illusion and WAKE UP! You know that moods affect you as they pass through you, and you also know that they do pass through. The human experience, as a separated being within the collective dream or illusion, is a passing experience, it does not last, it is temporary, impermanent, in fact it is momentary! However time appears very real to you, like a river flowing through an ever changing environment of moods – emotions, feelings, worries, anxieties, fears, pain and suffering, interspersed briefly with hopes, desires, contentment, and pleasures. But it always flows – slowly or rapidly depending on the individual’s choice in that moment – it is never still. However, you are each eternal beings living in the eternal and timeless now moment, always present in God’s divine Presence, the only state of existence. Anything else is unreal, a figment of your imagination, a game in which you, like a small child, have put your hands over your eyes and, in the very brief moment before you remove them, you feel alone, separate, abandoned, in fact terrified. There is nothing to fear because only Love is Real, so rest in the joyful certainty that that seeming sense of separation, aloneness, abandonment is utterly unreal! The only Reality, All That Exists, is God. Therefore you are all One with Him because there is absolutely nowhere else that you could be! Humanity is finally, after many eons, choosing to awaken into Reality. However, for that to happen you have to release your fearful stranglehold on the illusion. That means you have to let go of all your imaginary – truly they are not real – hates, resentments, judgments, fears and any sense of self righteousness as all of those hide Love from you. They act as a cloak, a veil, or a fog that hangs between you and Reality, hiding It from you. They too are imaginary, constructed by you because you feared that your choice to experience separation from God had made Him extremely angry with you, and so you constructed them in order to hide from Him. But God does not know anger, let alone harbor a sense of anger or judgment against even a single one of you! How could He know anger when there is only Love? He joyfully and lovingly awaits your awakening as His Will for you is eternal happiness, and He knows that your awakening is inevitable! Your task in the awakening process is just to let go! To let go of every sense or feeling of guilt, of unworthiness, of shame, of fear, because every one of them is totally invalid. 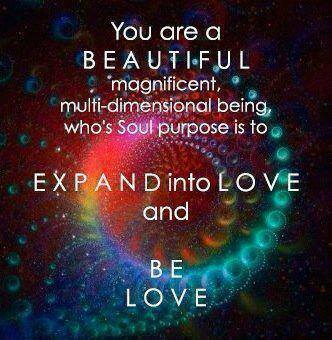 God created you, therefore you are, each and every one of you, perfect divine beings. As humans that does not seem to be the case, and that is because of the limits and restrictions that you built into the game that became the illusion. You are Love! All that God creates is Love, and God loves what He creates unconditionally in every moment and without exception. If He loves you then why would you not love yourselves? It makes no sense, in fact it is quite insane for any of you to judge as unworthy, shameful, sinful, untrustworthy, ugly, or evil any of God’s divine Creations including, of course, yourselves. He offers only Love to you, and he offers It continuously in every moment, all that you have to do is to open your hearts by releasing your ferocious grip on whatever is not of Love, and Love will fill them immediately, and your joy will be ecstatic. Fear is what is holding you back, fear that you are unworthy sinners deserving only hell. That is insanity because there is no sin and no hell. What you experience as sin and hell are imaginary and completely unreal aspects of the illusion, the game of separation in which you are engaged, which is itself quite unreal. It is time for you to discard your faith, your belief in the illusion and WAKE UP! When you allow Love to flow into your hearts, as It will when you cease to shut It out with judgment and all the other related non-loving thoughts that furnish your minds, you will wake up because it is impossible to remain asleep when Love fills your hearts. As humans there are very few of you who have not experienced an intense love for another, and when you are having that kind of experience do you sleep? No, you are fully awake and vibrantly alive with joy. When you awaken into Reality, your divine and eternal Home, your vibrancy and joy in life will infinitely exceed all your previous experiences and totally surpass whatever expectations you have been holding about your return to your awakened state. I know it is hard for you to conceive of the infinite joy in which Reality enfolds you, waiting for you to awaken and engage with it. So remind yourselves at least once daily, and preferably many times, that God’s Will for you is complete and eternal happiness right now! He does not want you to wait lifetimes, He wants you to be happy, to be in joy right now! All you have to do is open fully to the Love that is your true nature, to your Oneness with Him and all of creation. When you hold and maintain the intent to do that all that you have been holding onto that is not in alignment with Love will fall away and you will move from the darkness of fear, anger, hatred and resentment into the brilliant Light of God’s eternal Love and immediately know yourselves as you truly are – infinitely bright aspects of the Oneness that is God.